A shark killed a 36-year-old French surfer while his new bride watched in terror from the shore of Réunion Island. Twice attacked by the shark, the man was rescued from the water by lifeguards but had already lost so much blood that he died on the beach. The unnamed man and his new wife were honeymooning at Saint-Gilles, on the western coast of the Réunion Island, when tragedy struck from the seas. The new bride went into shock as her husband died on the sand. Another swimmer had spotted his blood reddening the ocean and called for help. 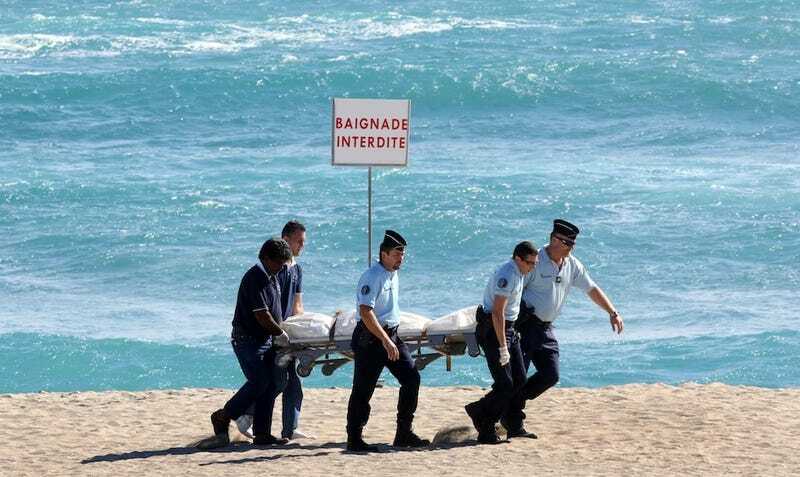 It is the first fatal shark attack on the popular French-controlled isle in the Indian Ocean since last year. Sharks killed three people on the island in 2011 and 2012. The newlyweds were visiting from Morteau, along the Swiss border in eastern France. The beach has reportedly reopened to tourists.